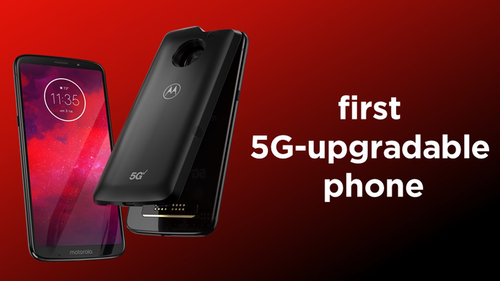 Now that operators and vendors have started to preview the very first 5G devices and smartphones to be available for the next-generation wireless networks, it's time to revisit our review from earlier in the year -- A 5G Smartphone Timeline for 2019 -- and update some key details. Here's the timeline for the arrival of 5G devices, based on the information we have in early August 2018. Verizon shows off Samsung's fixed 5G gear as it tests units in Basking Ridge, NJ. Full-blown mobile 5G smartphones are expected to be launched in the first half of 2019. Models from Huawei Technologies Co. Ltd and Samsung are expected to be among the first. The 3GPP 5G "Phase II" specifications are expected to be ratified at the end of 2019, delivering Internet of Things upgrades to the wireless technology, supporting connected cars and other IoT devices. This will push commercial Phase II-ready offerings into 2020, or further out. There are also no major network infrastructure equipment suppliers left that are based in North America. The intellectual property rights held by US companies for the chips, mobile phone user devices including software methods and interface and needed for the network equipment and software (overall system) remains among the strongest in the world despite most manufacturing has moved overseas. Several N. American companies no longer make 3G, 4G or 5G devices or equipment but their IPR was acquired by Intel, Apple, Qualcomm, Interdigital, IBM, Microsoft, Google/Alphabet and a few other US and Canadian companies. Market drive commercial technologies R&D because the most influential R&D must be rooted in practical applications. Patent licensing has become a major source of revenue for Qualcomm, the fattest profit margin portion of overall revenues which is driven by the chip business. Intel also has a net gain from IPR licensing. Despite being a relatively minor supplier of wireless chips, it has a huge portfolio of patents for semiconductors and other segments of tech that are required to build the equipment and devices used in mobile networks that add to the 4G-5G IPR it acquired and developed internally. One aspect of the public discourse over our competition vis-a-vis China is that all of the major suppliers in China, Taiwan, South Korea, USA, Canada, Europe have licenses for 3G, 4G and 5G technologies. These are covered under long-term cross-licensing agreements. The details of each agreement are not disclosed, however, the way it works out is that companies negotiate based on FRAND agreements they sign in order to participate in the standards on the basis of negotiating their patent and other IPR relative worth. In other words, they trade licensing of their portfolios. If company A has a stronger portfolio, the net pay they receive is how much that exceeds company B's IPR position. The public discourse dumbs this down to awe-inspiring statements such as "Ghina is stealing our technology?" @kq4ym, good points! What I am thinking as well is that there will evolve total new models that will change the players, partnerships, etc. That the evolving answers will develop from patterns we haven't even yet thought about. That's what can be exciting. It will be interesting to watch and see how the presumed timelines work out or if there will be some surprises along the way. I would not be surprised for some delays while it's always possible that there might be a dark horse that sprints along ahead of the others with a surprise finish. @Dan, thanks. That is what I thought. Thus, proof that we are losing in the 5G race? Maybe we will come up with options on content and/or service delivery? Apple is the only US-owned phone vendor anymore, all their devices are built in China, and they're 3rd largest smartphone provider now. So, is there really much competition anymore? @Dan, how well do you see US companies competing with the international companies in the 5G space? Sprint says they're doing a "cool" 5G phone too. Is this something to do with connected ice hockey?